Oh September, how I love thee. You have it all: long weekends, grill weather, football games. But let’s be honest, for all of your greatness, you also bring with you the first signs of arctic chill that grows into the wintry monster we all know and many of us hate. September for me is all about maximizing sun and sand, and savoring the last few days of summer in whatever way possible. 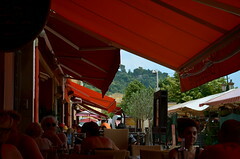 But when the cold sets in, food can be an amazing shortcut for reliving that summer bliss. 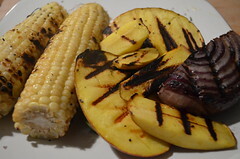 Grilled mango salsa is at the top of my list. Optional fresh vegification: avocado, cucumber, tomato. 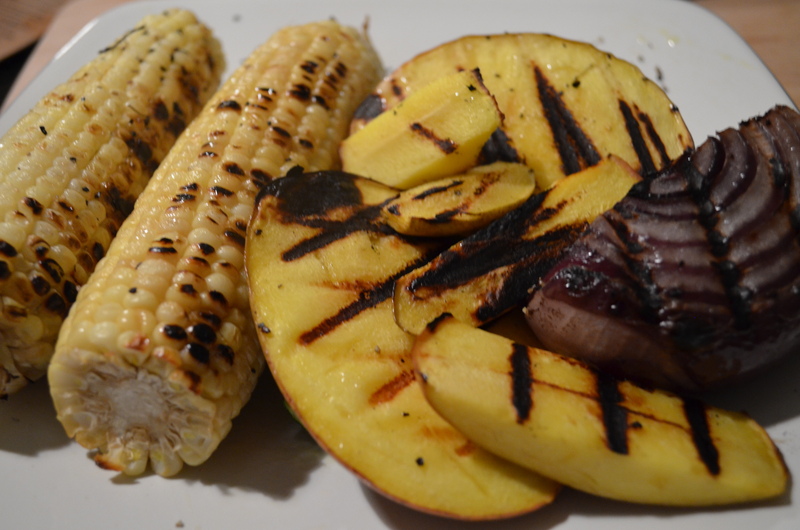 Grilled corn, grilled mango, grilled onion. Salsa prep. Cut mangos in half lengthwise. Here is a good tutorial. Leave the pieces large. If following the tutorial, stop after step 2. Slice the red onion in half as shown above. Brush all with olive oil and dust with salt and pepper. 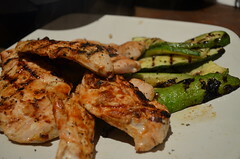 Grill on medium low for 10 to 12 minutes. 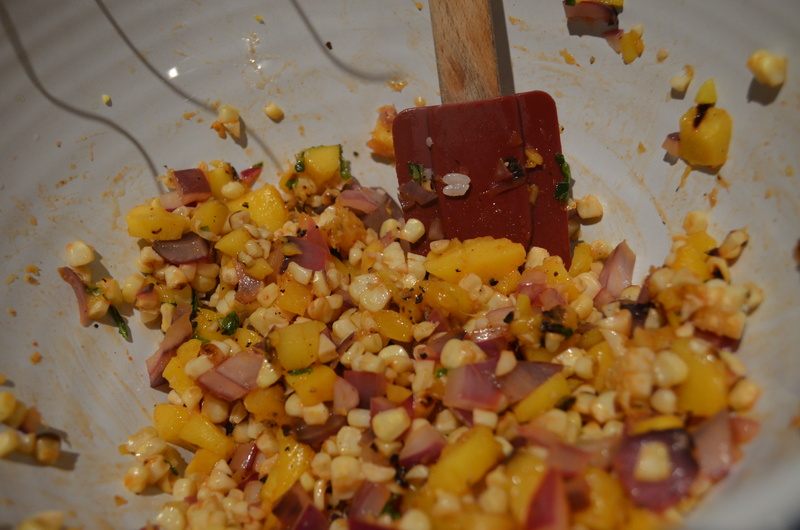 Turn corn and onion to achieve char on all sides. Remove and let sit until cool enough to touch. Slice mango into bite sized pieces and and remove peel. See tutorial. 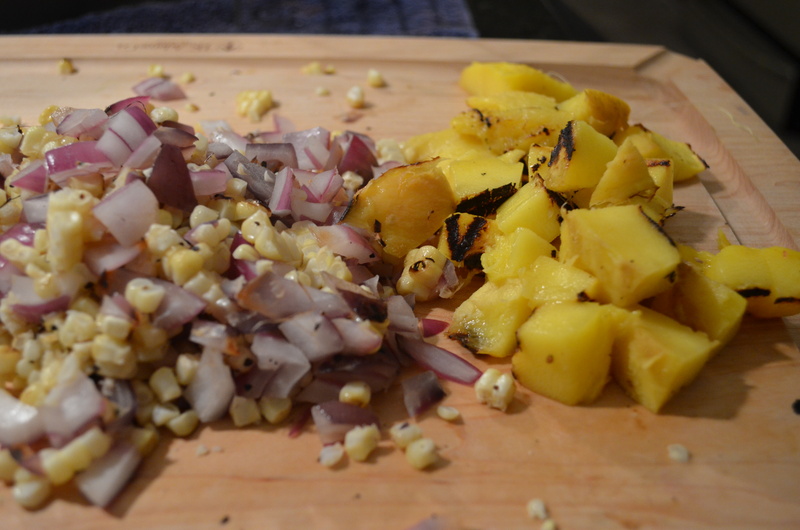 Slice corn off cob and chop onion. 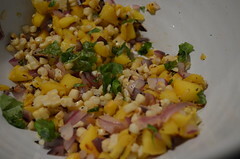 Chopped grilled onion, corn, mango. Ready for salsa. Put ingredients into mixing bowl and add vinegar, lime, and squirt of Sriracha to taste. Chop cilantro coarsely and stir in. 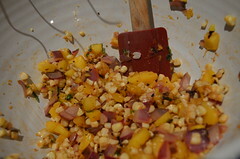 Mango salsa, mixing in cilantro. Serve immediately or let sit in refrigerator for 24 hours. Enjoy!